What is the Difference Between a Three Season Room and a Four Season Room? 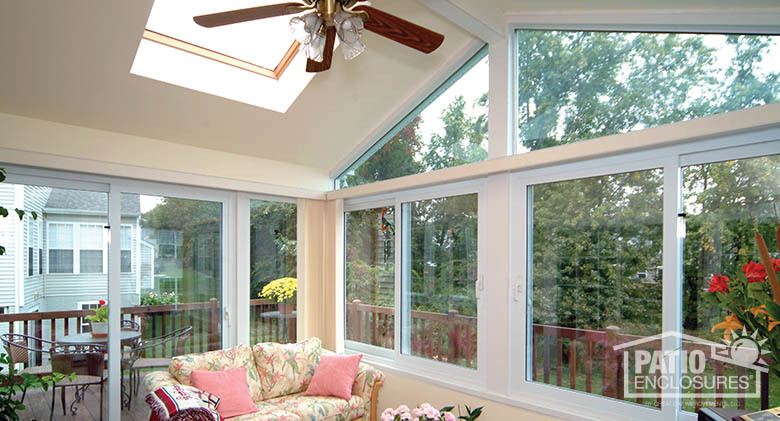 Are you thinking of adding a sunroom to your home? A sunroom can be the perfect place for you and your family to enjoy the beauty of the outdoors without being bothered by pesky bugs or inclement weather, while also adding more space and natural light to your home. Before you decide to purchase a sunroom, you’ll want to know more about the various types of sunrooms available. In this blog post, we’ll clarify the characteristics that differentiate three season and four season rooms, and how each can provide benefits to you and your family. Seasons of use. A three season room and a four season room may look similar at first glance, but the main distinguishing factors between the two is the framing system and glass used. The frame of a four season room is thermally engineered so the room can be heated and cooled cost effectively. Since it can be temperature controlled, it can be used year-round, regardless of the weather. Depending on your location, a three season room is typically only used in the spring, summer, and fall, when outside temperatures are mild. However, if you reside in a mild climate, a three season room may be perfect for you. It really depends on how you plan to use the room. Difference in engineering. Four season rooms have two available options for framing: vinyl, with steel and aluminum reinforcement, and aluminum. These thermally-engineered frame options allow the room to be heated and cooled cost effectively, year-round, regardless of your climate. The aluminum frame of a three season room is not engineered to prevent heat loss, which is why it typically costs less. Price. Four season rooms are a true extension of your home and can be enjoyed year-round. A four season room is typically more expensive than a three season room because it’s constructed to be heated and cooled. The Patio Enclosures Team will work with you and your family to custom design and build the sunroom option that works best for you while staying within your budget. Frame. Our four season rooms are built with thermally-engineered extruded aluminum or structurally-reinforced vinyl, based on the customer’s preference or project scope. Our three season rooms are built with a 3 1/8-inch extruded, powder-coated aluminum frame that provides you with the highest resistance to scratching, fading, chipping and peeling, which ensures that you will have great color for the life of your room. Each of our rooms provides structural integrity that not only meets, but exceeds local and national building codes. Door & Window Rolling Systems. Three season rooms use a triple track system with ball-bearing wheels that allow for easy operation, while a four season room uses a monorail system with ball-bearing wheels. Both options allow for effortless operation to enjoy a gentle breeze without leaving the comforts of your home. Glass Options. Both sunroom styles are available with several different glass options to ensure that you receive the sunroom addition of your dreams. Three season rooms come equipped with single-pane glass or can be upgraded to double-pane insulated glass or Comfort-Gard® PLUS high-performance glass. Double-pane glass is standard with a four season room because it improves the room’s heating and cooling performance or you may choose to upgrade to our Comfort-Gard PLUS high-performance double-paned glass. 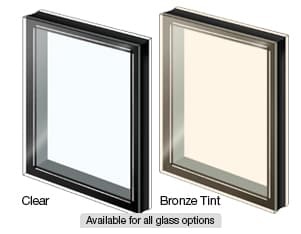 We also offer a bronze glass tint to aid in UV protection while reducing the solar heat gain in your home to help keep your home cooler in the warm summer months. All of Patio Enclosures’ exclusive glass options are tempered for your safety. Want to know more about our sunroom types and options? Learn 10 important sunroom terms to help you decide which type of room is right for you and your home. How Do I Know Which Sunroom Type is Best for Me? How often do you plan to use this room? 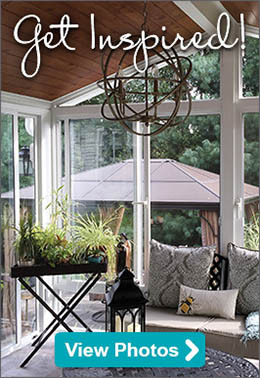 What do you plan to use your sunroom for? What features do you want your room to include? 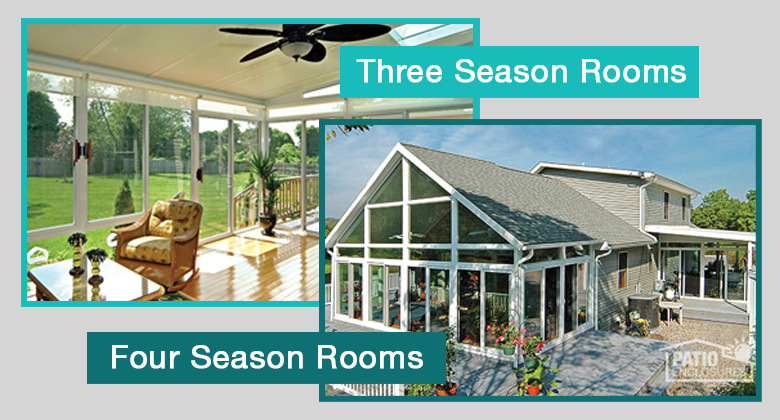 No matter which type of sunroom you choose, both offer several benefits. A sunroom provides more natural sunlight and can also add more space to your home, giving you more room for entertaining, relaxing, or whatever you choose to use your new space for. At Patio Enclosures, we offer several financing options to help you make the buying process a little easier. We understand that adding a sunroom to your home is an investment, and we want you to be comfortable with your decision from the beginning. How Do I Know I am Getting the Best Value for my Investment? We do it all. At Patio Enclosures, we design, manufacture, install, guarantee and service all of our products, every time. 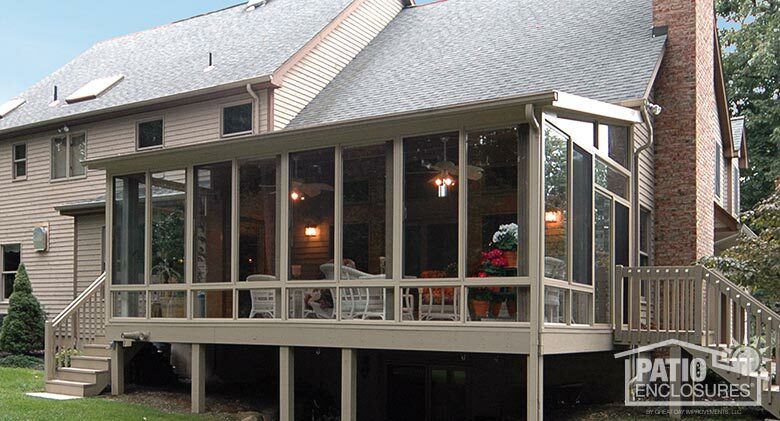 Each and every sunroom comes with our Limited Lifetime Warranty. The Patio Enclosures brand has been trusted by homeowners since 1966. Our rooms are built to last and have stood up to hurricanes on the Jersey coast and blizzards in the north. Well over 250,000 customers are currently enjoying their Patio Enclosures rooms across the country. Custom designed. Our sunrooms aren’t cookie cutter. When we design your sunroom, it is built specifically for your home, which gives you the ability to customize your home addition. We manufacture our sunrooms and have the ability to create a one-of-a-kind room to meet your needs. Endless options. Your home is unique, so your sunroom addition should be too. 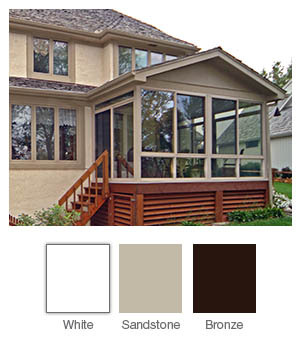 Choose the style of your sunroom and then select the color, roof, glass and more! We offer endless design options to ensure that your room exceeds your expectations. Financing. We want you to feel comfortable with your purchase. That’s why we offer several financing plans to help you get the sunroom you want while staying within your budget. If you’re looking for more information on sunroom types and options, view our sunroom comparison chart. Are you ready to begin your patio enclosure project? Give us a call or schedule your free, in-home estimate online today.